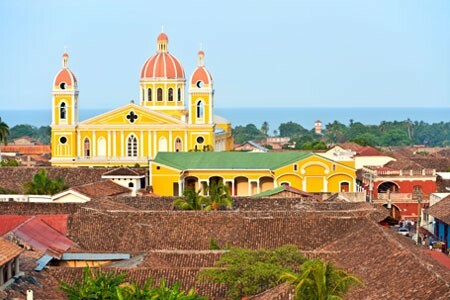 Whether one is looking for a purely cultural experience, spiritual, yoga and wellness activities, beach relaxation or an adventure that combines plenty of physical activity and unique experiences, Central America offers up some truly incredible and diverse choices. 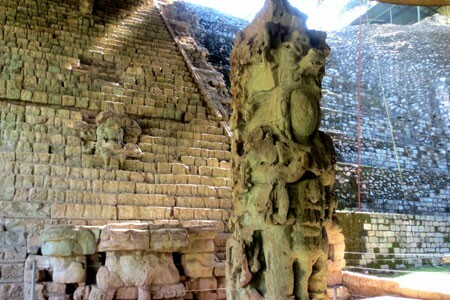 The ancient Maya civilization once spanned the entire region which today consists of Northern Guatemala, Belize, and Western Honduras. 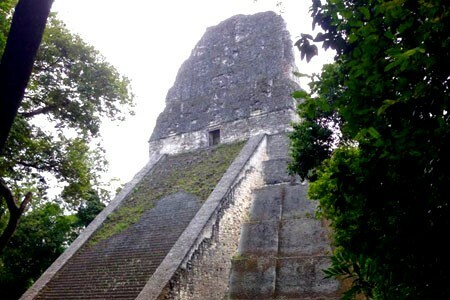 World renowned archaeology sites such as Tikal, Caracol, and Copàn are found alongside lesser known yet highly fascinating archaeology sites such as Ceibal, Aguateca, Yaxha, Uaxactun, Xunantunich and Lamanai, among others. Countless more ruins still lie shrouded by dense forest overgrowth in the region, which contains over 800 species of trees, 57 species of reptiles, and 500 species of birds. 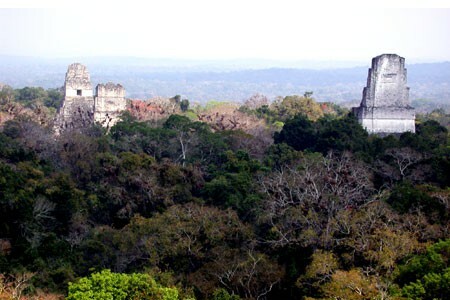 Tapirs, peccararies and jaguars still roam the emerald forests. 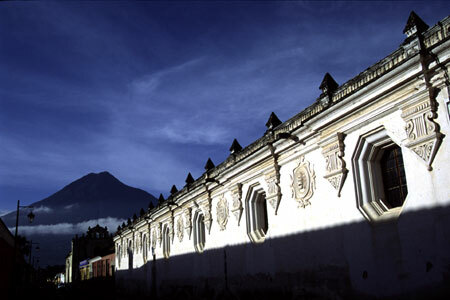 In Central America one may witness the splendor of the colonial era in such treasures as the city of Antigua Guatemala. 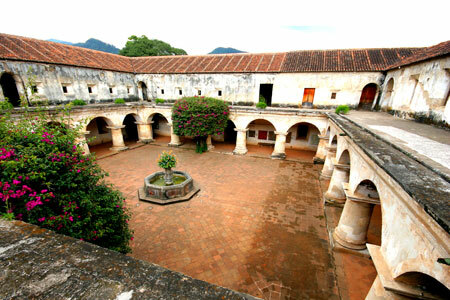 Once the capital of the whole of Central America, Antigua was the third most important Spanish settlement in all of the Americas. 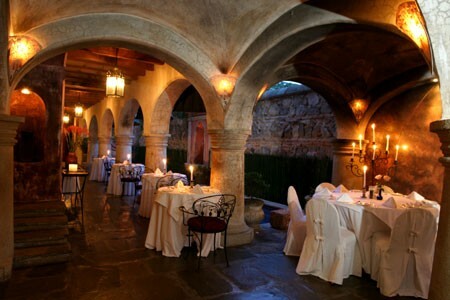 During many years of wealthy Spanish rule, palaces, churches, parks, fountains and the cathedral were built. Today, viewed and guarded as a national treasure, this beautifully restored and preserved colonial city looks much as it did 200 years ago. 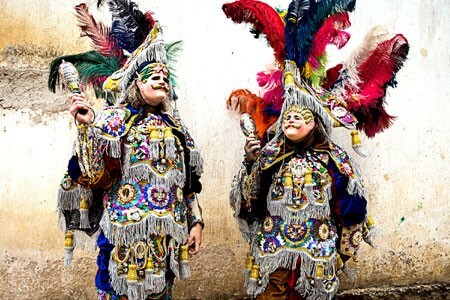 Guatemalan folklore is possibly the most interesting and varied in the world. 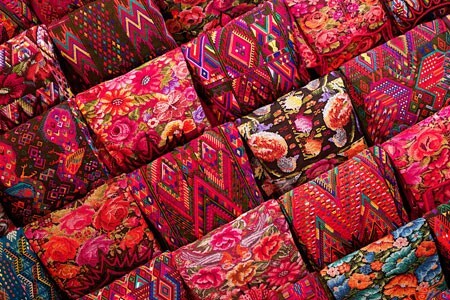 One of the best expressions of this can be seen in local textiles, which incorporate more than 325 variations of styles and color schemes, each one with its own historically symbolic meaning. Markets dot the countryside and offer a fascinating insight into the Maya Culture, not to mention providing the traveler with an excellent source of economical gifts. 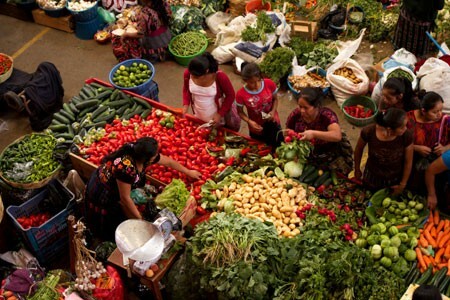 The markets are full of traditional crafts and an abundance of produce and livestock which supply the everyday needs of the local population. 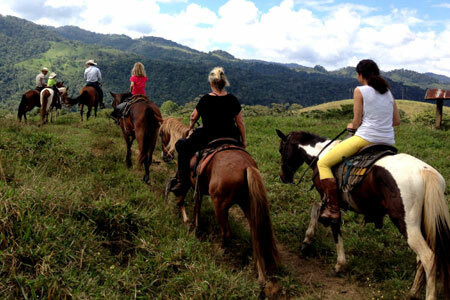 There are many interesting festivals that take place across Central America and timing tours so that they coincide with these festivals can make for a truly memorable trip. 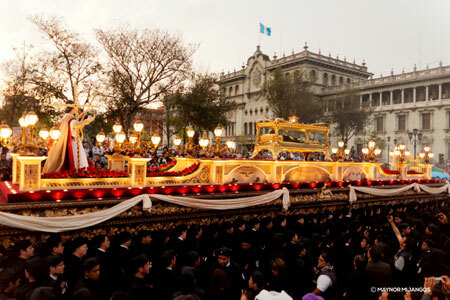 Easter week (Semana Santa) is by far the biggest, which is celebrated throughout the America’s. 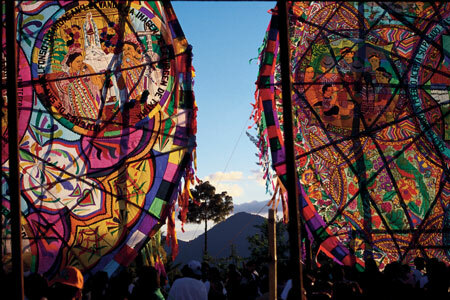 The religious processions along Antigua’s cobblestoned streets are the most elaborate in all of the Americas. From each small village’s patron saint day featuring traditional dances and celebrations, to the elaborate kite festivals on November 1st, to Belize’s week-long lobster-fest, there’s never a shortage of festivities, any time of the year. 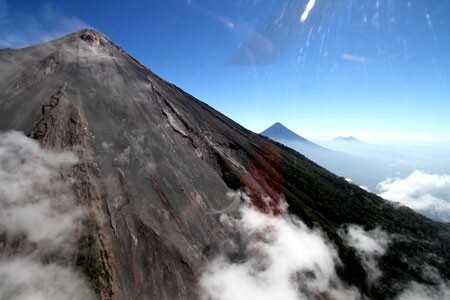 Central America is a small and yet hugely diverse region that looks spectacular from the air. In association with the most reputable charter helicopter service providers, we are able to offer amazing VIP helicopter sightseeing tours. 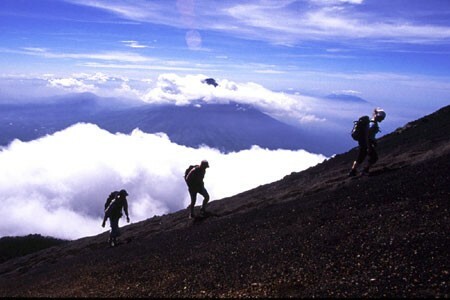 View towering volcanoes, mountain lakes, remote jungle villages, vast rainforests, fantastic rivers and waterfalls. 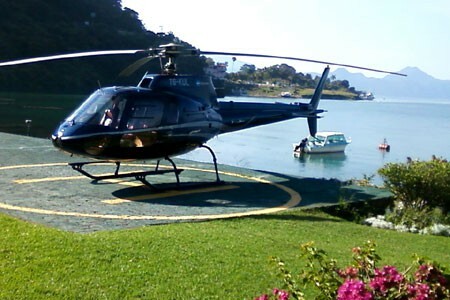 Additionally, we offer complete packages and helicopter safaris designed around using helicopters as the primary method of transportation between destinations, to more quickly and comfortably reach the most interesting and exciting places. The rainforest areas of Guatemala, Belize, and Honduras are home to over 800 species of trees, 57 species of reptiles, and 500 species of birds. 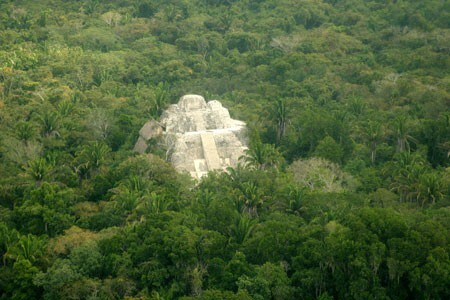 Large mammals such as tapirs, peccaries, puma and jaguars are elusive, but still roam these emerald forests. 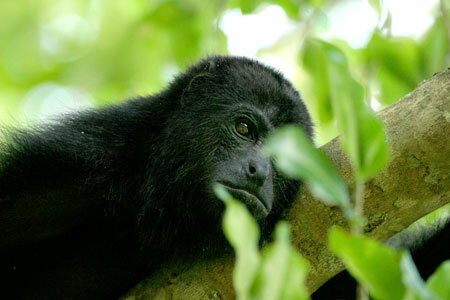 Howler and spider monkeys are numerous, and almost guaranteed to be seen at Tikal and Yaxha. 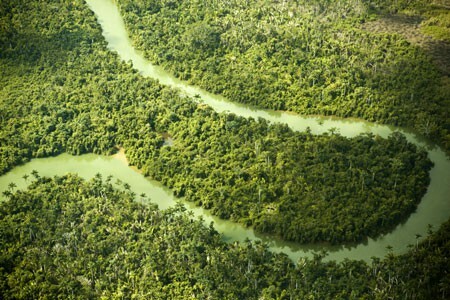 Chiquibul National Park in Belize is the largest intact tropical forest north of the Amazon and is home to myriad endangered animals including red-eyed tree frogs and Morelet’s crocodiles. 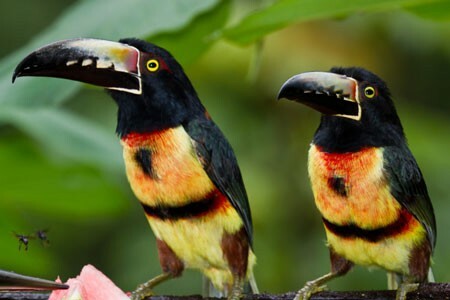 Central America is truly a hotspot for birding. 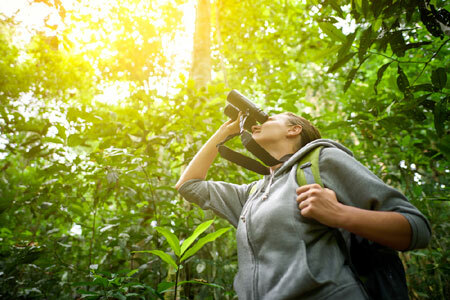 With over 700 species found in Guatemala, Belize and Honduras, and many remote, undeveloped forested regions and national parks, the avid birder is sure to add many new sightings to his/her list. In addition to the many species that live year round in the the region, the isthmus of Central America acts as a funnel to channel thousands of migrating birds between North and South America. 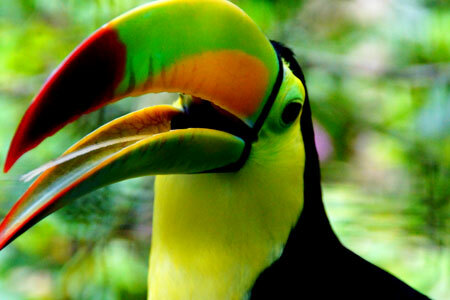 Whether amateur or professional, your birding experiences in Belize, Guatemala or Honduras are sure to be exceptional. 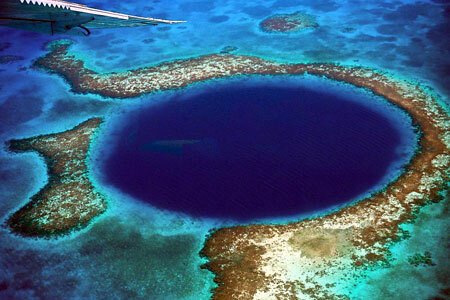 Scuba diving activities and PADI dive courses can be arranged in the tropical blue waters off the shores of Belize and Honduras, as well as at the interesting high altitude Lake Atitlán. 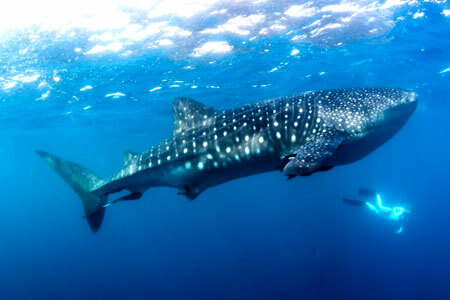 Diving packages to Roatán, Bay Islands and to the Belize Cayes may include night dives, nurse and whale shark dives, dolphin encounters, the famous “blue hole,” and a multitude of superb coral reef dives. Courses available include the “learn to dive” open water course, advanced course, and other more specialist courses such as high-altitude (Lake Atitlán), rescue, and wreck diving. 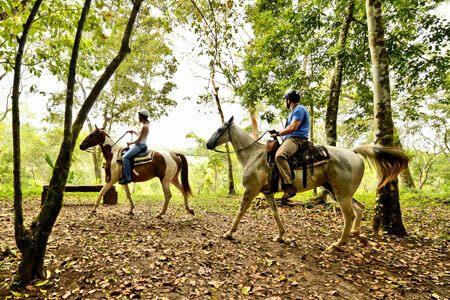 With an abundance of lakes and rivers, and the clear blue water of the Caribbean, it’s only natural that activities such as kayking, snorkeling and whitewater rafting would be so popular in Guatemala, Belize and Honduras. 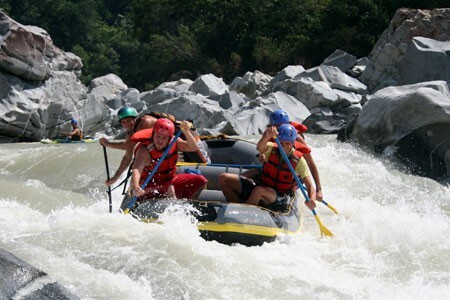 Whitewater raft through tropical jungle, impressive canyons, past thermal baths and crystal blue pools. 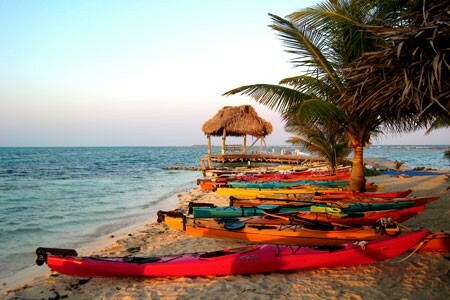 Kayak across highland lakes or through the undeveloped mangroves of the Pacific coast of Guatemala, or atop the crystal clear Caribbean Sea. 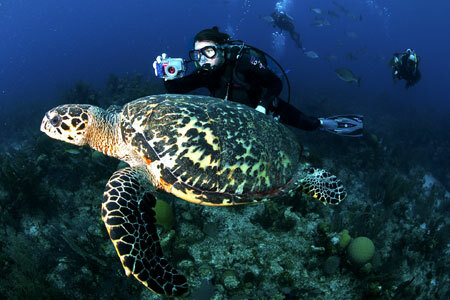 Snorkeling the coral reefs of Belize and Honduras offers superb underwater wildlife viewing, and combined with the tranquility of white-sand beaches, offers a relaxing way to wind down any vacation. 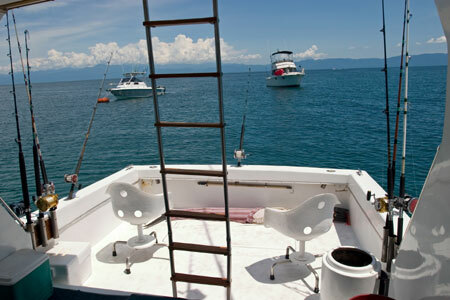 Guatemala’s Pacific waters are home to the best sailfishing in the world. 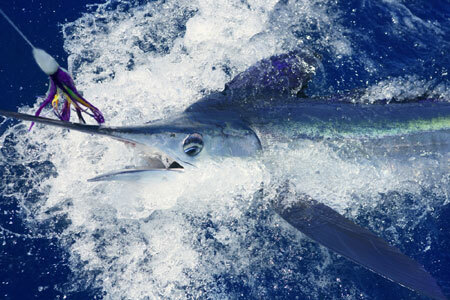 Billfish productivity is unbeatable with an incredible daily catch-and-release rate averaging around 10 sailfish per boat. 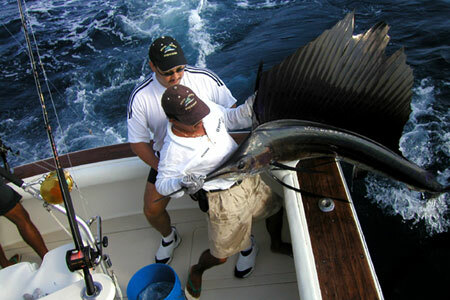 Catching sailfish off Guatemala’s coast is almost guaranteed between the months of November to April. 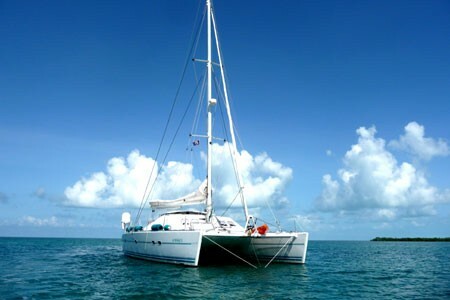 On the Caribbean side, Belize and Honduras boast incredible sportfishing as well. Whether fly or spin fishing, the availability of seasonal tarpon, snook and bonefish make this an ideal fishing location all year round. 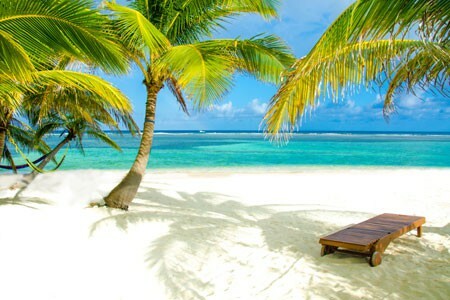 Caye Chapel in Belize is a private island golf resort offering an 18-hole championship golf course with extraordinary views of the Caribbean Sea and Barrier Reef. 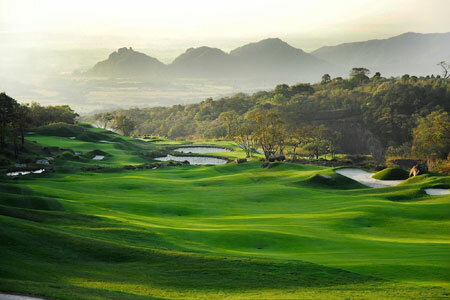 Guatemala offers courses designed by world famous designers, including La Reunión Golf Resort, which, siting atop an active volcano just 20-minute’s drive outside of Antigua, boasts an 18-hole course designed by the renowned Pete Dye. 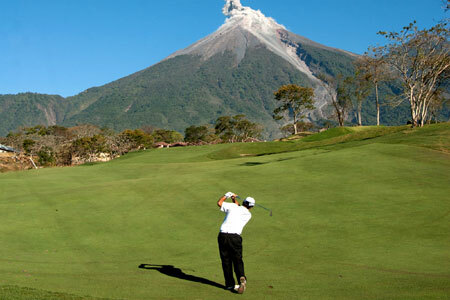 A truly stunning location, it’s the only golf course in the world with views of four volcanoes. 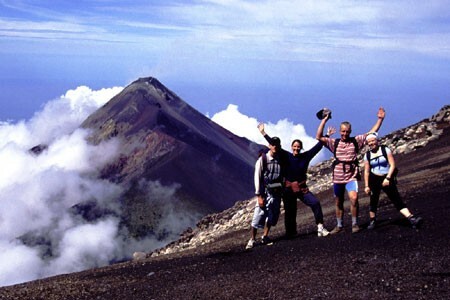 Central America offers magnificent places perfect for hiking. The valleys, mountains, and forests offer spectacular scenery, a rich assortment of flora, and a chance to view some incredible wildlife. 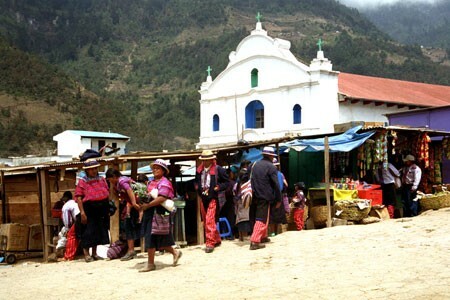 The local culture also offers incredible wonder to any outing, with amazing colors, ancient customs, and warm, friendly faces to greet you. 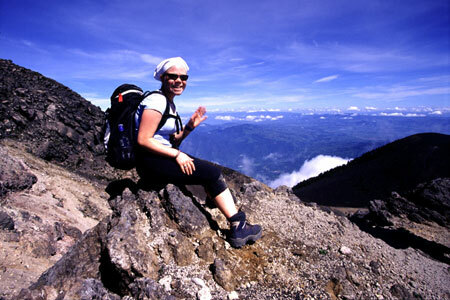 With the vast area of rainforest in the region, amazing yet challenging jungle hikes are also on offer. 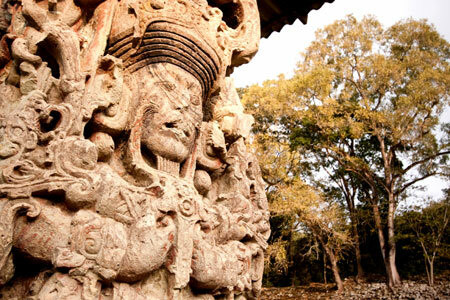 Discover lost cities of the Maya, camp in dense jungle, and visit some truly off-the-beaten-track destinations that can only be reached by foot. 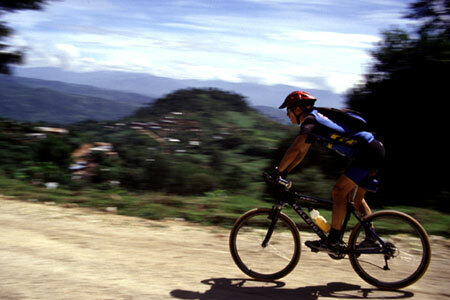 Central America, Guatemala especially, is a true mountain biking paradise. 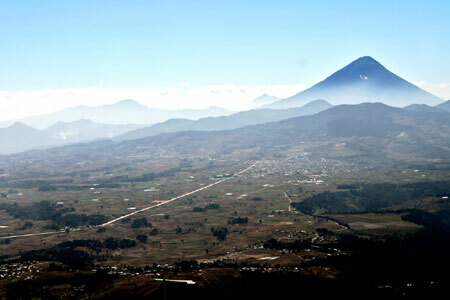 Bike along the volcanoes of the Guatemalan Altiplano, hit the trails and back roads through the mountain peaks and past local indigenous villages, cruise scenic paths around lakes and coffee plantations, drop down through cloud forests, ride past ancient Maya ruins, and enjoy spectacular views from spots seldom visited. 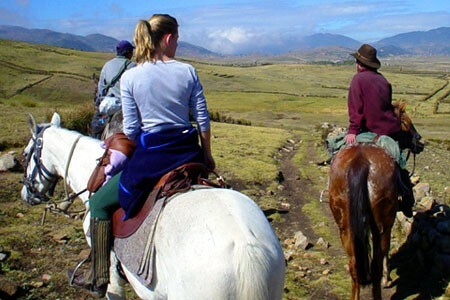 Whether you’re after an adrenaline rush or mere sightseeing atop a bicycle, and whether you’re looking for a half-day introduction or a few days on the trail, there are trips to suit every interest. 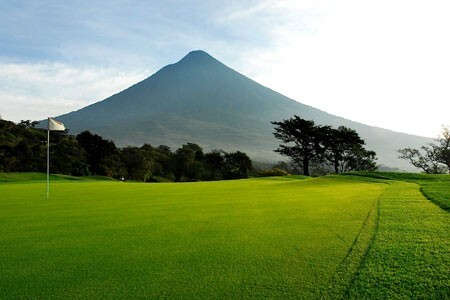 Central America has a great variety of Spa, Yoga & Wellness options located in spectacular yet tranquil surroundings such as volcano encircled lakes, lush rainforest retreats, and exotic white-sand beaches. 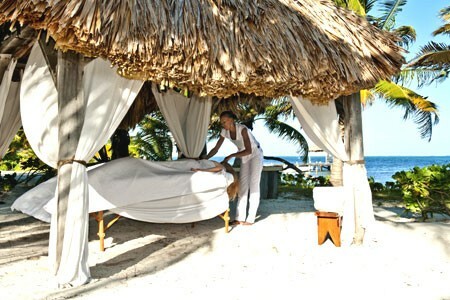 Guests can focus entire itineraries on this specialism or mix and match sightseeing with a few of these spa, yoga and wellness elements inter-twined within their tour. 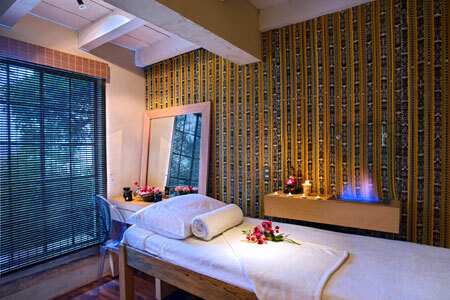 Many hotels offer massage, yoga or spa services for those who simply want to relax at the end of the long, adventurous day on tour. 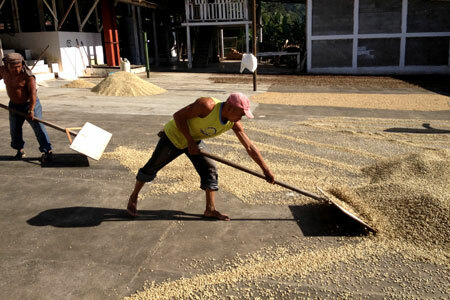 Central America is renowned for its excellent coffee. 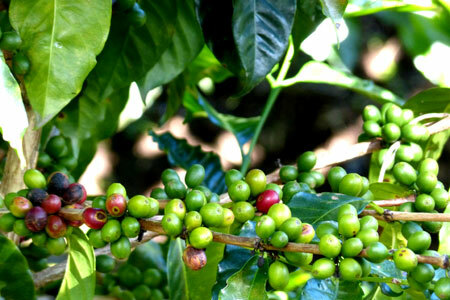 Typically grown in the higher elevations, the lush, green hillsides throughout the region abound with coffee. 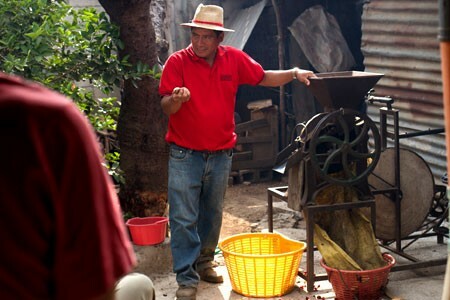 Behind the scenes tours into the inner workings of the coffee farms are offered, both to large modernized farms and small share-croppers’ homes, who produce and sell their coffee with the support of grass roots fair-trade organizations. 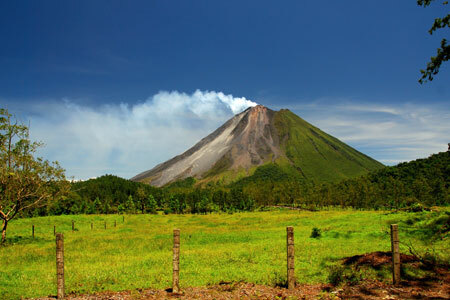 Tours to banana and cacao plantations are also very popular in the region. 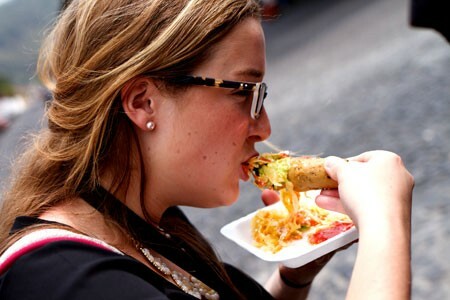 Although you may not think of Central America as a culinary destination, there is actually quite a lot of delicious tasting and gastronomical discovery to be had. 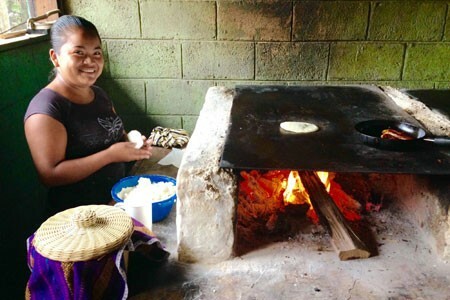 We love to highlight local food on our tours, whether it be a simple meal prepared by a local family, a cooking lesson of traditional fare, a trip into the market to discover peculiar fruits & vegetables, a guided street-food tour of Antigua, or a fancy meal at a gourmet international-fusion restaurant.